Dylan Rush: Best in Show: Lucky Break? 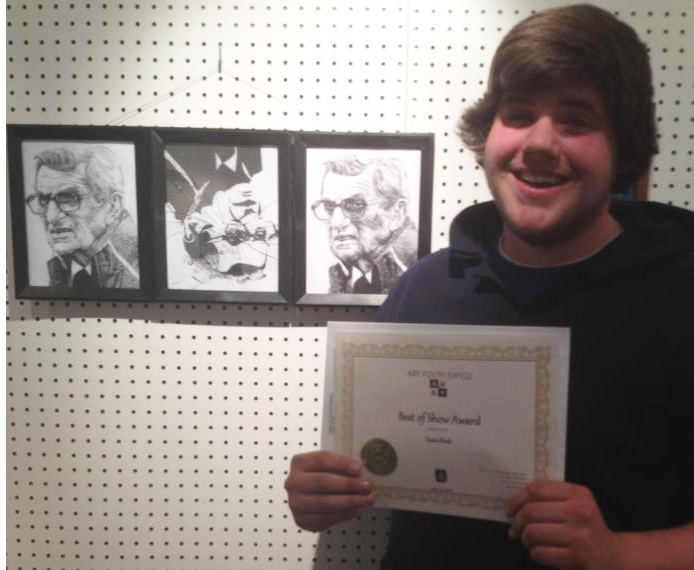 Dylan Rush, 19, a Communication Design sophomore at Kutztown University won Best in Show Award at the 2012 Hazelton Art League Open Exhibition. He drew a series of line art portraits of Joe Paterno in January for his first assignment in Kevin McCloskey’s Illustration Techniques class. Dylan calls the work “Joe Pa.” You will notice the central portrait is upside down and the glass is broken. Dylan explained that in his hurry to frame the artwork, he accidentally broke one of the frames. Dylan decided to hang it broken to conceptually reflect the shattering turmoil at the end of Jo Pa’s life. 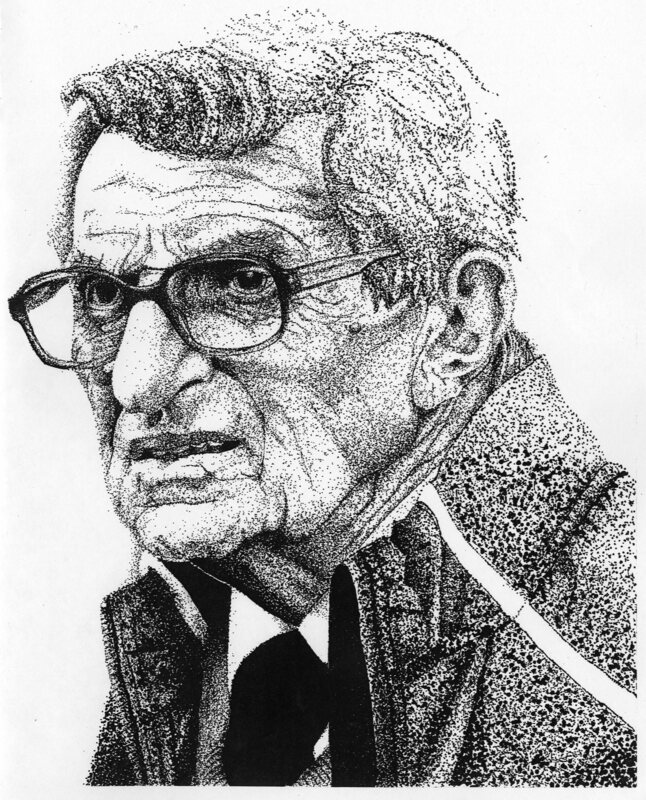 Note that in the final image Joe Pa has regained his upright direction. The 2012 Best in Show award included a $300 cash prize. Dylan also sold the triptych for a nominal sum to a Penn State fan and it now hangs on the wall of a building on the campus of Penn State in Hazelton, PA. Such a heart-warming post! Go DYLAN!! Glad you like it, Rona. Dylan is a good student. He was smart enough to add a second pane of glass so you don’t cut yourself if you are tempted to touch the middle image.